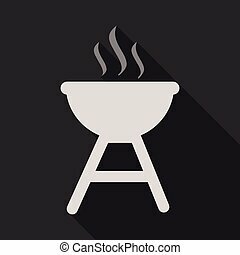 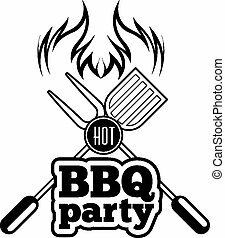 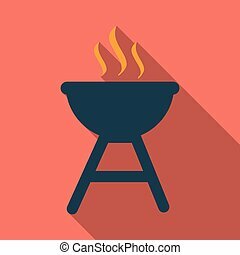 Barbecue Logo Template With Logogram Fire On Grill. 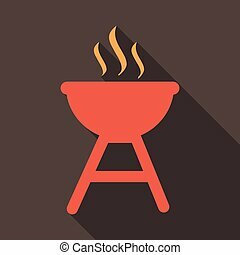 Barbecue with fire sign. 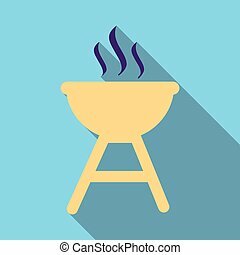 White section of icon on blueprint template.